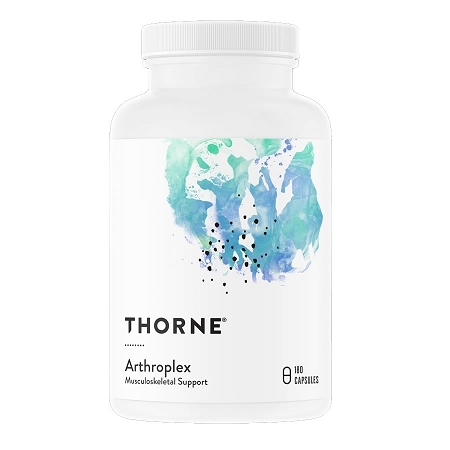 Home > Misc > See All Products > See All Dog Products > Joint Support for Dogs > Thorne Research Arthroplex - Joint Support for Dogs & Cats - 180 ct.
Arthroplex by Thorne is a glucosamine supplement for dogs and cats with joint pain and stiffness. Contains curcumin (turmeric) to reduce inflammation and provide pain relief. 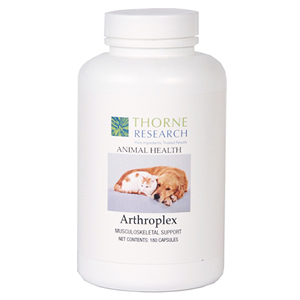 Arthroplex combines all natural ingredients that support healthy joint function in dogs and cats. 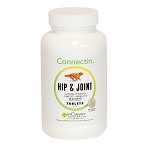 The proven joint support activity of glucosamine and the anti-inflammatory properties of bromelain, boswellia and curcumin help pets that are experiencing joint pain and stiffness from arthritis and related conditions. Veterinarian-formulated Arthroplex contains glucosamine sulfate, one of the safest and most widely-researched ingredients for arthritis (osteoarthritis) pain and stiffness. Glucosamine has been shown to have anti-inflammatory activity, and unlike NSAIDS and corticosteroids, glucosamine sulfate works to maintain joint health. Each bottle contains 180 capsules. Our shepherd mix is 9 years old, and she has arthritis in her lower spine and hips. Her movement was getting stiffer, she stopped running and playing as much and as often as she used to, she couldn't jump on the couch, and she couldn't maintain her posture when "going to the bathroom." Our vet suggested Deramaxx, and we tried it for several months. Her mobility did improve, but she still wasn't quite herself. I was concerned about giving her NSAID's for the rest of her life, so I researched alternatives. I found an article in The Whole Dog Journal, and the author described a similar situation as ours, where the dog benefited from Arthroplex and a change in diet from commercial to raw meaty bones. Our girl is about 60 pounds, takes two capsules of Arthroplex each day, and thoroughly enjoys her prey-model raw diet. She runs, jumps and plays almost exactly they way she used to; the duration of play is shorter (about 10 minutes at a time), and she uses caution as she jumps on the couch. We've been giving Arthroplex and feeding raw for about two months now, and I'm completely satisfied with the results thus far. I have a yellow lab that is 9 yrs old. he was starting to get stiff getting up after laying for a while which resulted in him limping pretty bad. after about 3 wks on this product he is getting up without any stiffness. It has helped him alot. the only down side is his weight calls for 10 pills a day. So one bottle only last 18 days. Wish it came in a larger dose in fewer pills per day, but a better price for buying buying a bigger bottle. 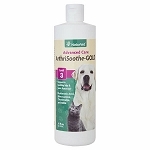 Give this product a try, for your pet sakes!! Happy with purchase, helped 13 year old female samoyed be more active and healthy. She takes it in mashed sweet potato, her favorite. Highly recommend regimen. I was fortunate to have found this product. The capsules have helped my dog recover from a deep tissue injury that caused a front paw lameness. ( My dog had an adverse reaction and is sensitive to traditional anti inflammatory and pain relief medication that was prescribed by the vet). Arthroplex was and is the only supplement to my dogs diet for the past month. My dogs activity level increases everyday. Thank you Thorne Research. Glucosamine Sulfate (as Glucosamine Sulfate Potassium Chloride Complex) - 225 mg.
Glucosamine sulfate is one of the best-known and safest ingredients for promoting joint health. It is a precursor of glycosaminoglycans (GAGs), including hyaluronic acid and chondroitin sulfate, an essential component of the cartilage matrix. Considerable animal research indicates glucosamine sulfate's effectiveness in maintaining joint health. Vitamin C - 100 mg.
Vitamin C (ascorbic acid) enhances collagen formation and cartilage growth. Ascorbic acid has been shown to help maintain healthy cartilage. DL-Phenylalanine (DLPA) is a component of the catecholamine neurotransmitter cascade, which can in turn increase levels of endorphins and enkephalins. Curcumin Phytosome - 50 mg.
Curcumin is the orange pigment found in turmeric and is a potent antioxidant. Studies have show that curcumin helps reduce inflammation and accompanying pain and also protects the gastrointestinal tract, liver and kidneys from damage. Boswellia Serrata extract - 35 mg.
Boswellia serrata extract is a gum resin from a tree native to India, Northern Africa, and the Middle East. Animal studies have demonstrated Boswellia helps maintain a normal inflammatory response. Bromelain stimulates fribrinolytic activity and inhibits thromboxane A2, which also helps maintain a healthy inflammatory response. Bromelain is a enzyme found in pineapples and helps to reduce swelling and inflammation. Inactive ingredients: Cellulose, Hypromellose (derived from cellulose) capsule, Calcium Laurate, Silicon Dioxide. Contains ingredient derived from shellfish. Cats (all): One capsule daily. For use in cats and dogs only. Safe use in pregnant animals or animals intended for breeding has not been proven. Consult with your veterinarian before using this product in animals: with clotting disorders; being treated with anticoagulant medications; diabetes, or any metabolic disorder causing hyperglycemia; history of urinary tract stones; known allergies to shellfish. If lameness worsens, discontinue use and contact your veterinarian. Administer during or after the animal has eaten to reduce incidence of gastrointestinal upset.